What are the Civil legal implications of Han’s Street Racing and Reckless Driving at the beginning of the movie Solo? Welcome back. 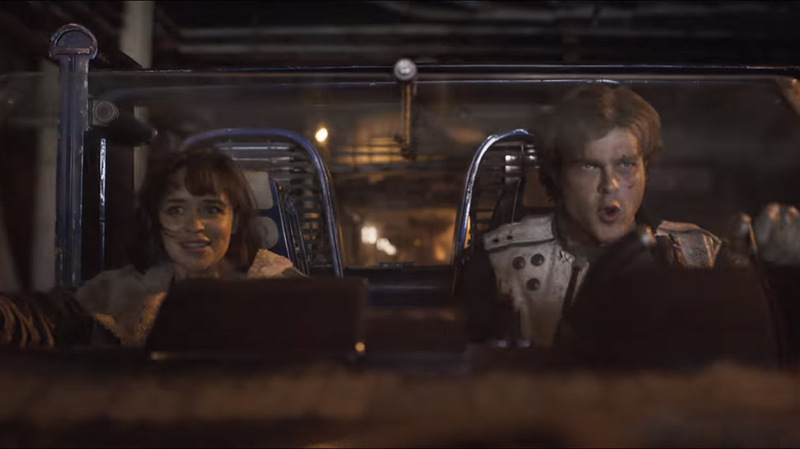 Today we have part 2 of our series on whether Han’s high speed driving at the beginning of the movie Solo exposes him to any potential legal problems. In part 1 we examined Han’s potential criminal liability, which could involve Han having to pay a fine, serve jail time, or if certain things happened he could even get the death sentence (Check out Part 1 for more). Today we look at the civil aspect of his potential liability, which could result in Han having to pay money to an injured or aggrieved party. What do you mean I have to pay monetary damages?? Even if Han escapes criminal liability, he can still be sued for civil damages by anyone who suffered injury to their person or property as a result of Han’s actions. The difference between Criminal and Civil liability is simply that Criminal law typically implicates one’s liberty by posing the threat of confinement in jail/prison, while Civil liability typically implicates one’s finances because an aggrieved individual can sue another person for money damages. Similar to Criminal law, Civil law provides protection against reckless drivers as well. One oft quoted rule in civil law is that drivers are permitted to expect that every other person will use reasonable care and not violate the law. California Civil Jury Instructions (“CACI”) 411. With regard to the speed question specifically, the California vehicle code addresses that issue as follows: “no person shall drive a vehicle upon a highway at a speed greater than is reasonable or prudent having due regard for weather, visibility, the traffic on, and the surface and width of, the highway, and in no event at a speed which endangers the safety of persons or property.” Cal. Veh. Code § 22350. Simply put, drivers must not drive so fast that they create a danger to people or property. CACI 706. Let’s see what she’s got! If the trooper who falls from the bike suffered some injuries, he might be able to sue Han and argue that Han’s reckless driving caused the injuries. Any bystanders who suffered injuries from the race/chase could also sue. Again, using California state law as a model, such an argument could have at least some merit. Witnesses to the incident would include Han, Q’ira, and the other participants in the chase/race, as well as bystanders who may have seen some of the events. Han would likely argue that any participants who were injured in the race brought it upon themselves due to their own participation in a dangerous activity, namely street racing. However, Han would have a more difficult time making such an argument against a bystander who suffered injuries. How such a question would be decided would depend upon the judgment of the trier of fact, whether it be a judge or jury. In California state court, such disputes are typically decided by a jury and often involve some allocation of fault between the various parties involved. For example, while it is possible that a jury could find Han 0% at fault, and the injured party 100% at fault, a more common result is for the jury to pin some percentage of fault upon Han, and some fault upon the other party. It is important to note that unless Han has some form of auto insurance available to cover this incident, he may ultimately have to pay out of pocket for any monetary damages that are awarded as a result of the incident. I was just out for a relaxing drive! Han could, of course, argue variations on a theme of how he was being pursued by criminals in fear of his life. It is possible that this may help him in a criminal trial, but it would likely not help him as much in a civil trial where the plaintiff is likely to be some innocent bystander who was doing nothing wrong and then suffered injury when Han and his pursuers blasted by. Depending upon how badly the plaintiff is injured, Han could be on the hook for quite a bit of cash, likely enough to pay the debt he will someday owe to Jabba several times over. 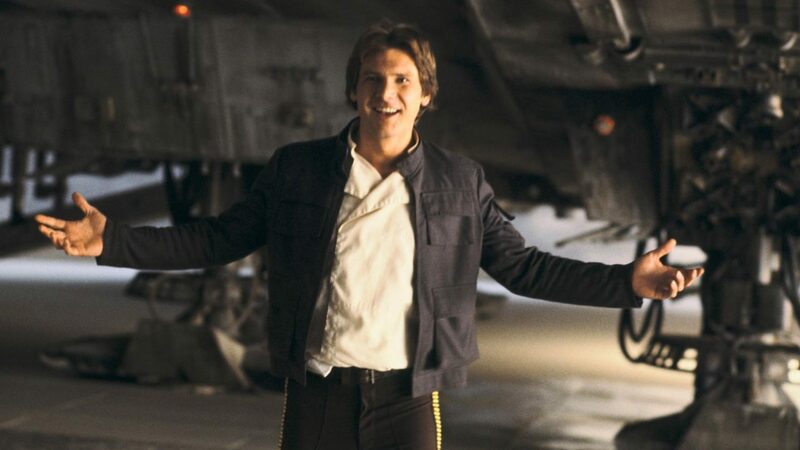 Han’s best hope may be to use his smuggler charm and try to somehow convince the jury that he was simply in the wrong place and the wrong time and none of this is really his fault: the blame should all fall upon the other people who were involved in the chase. That would seem to be a longshot, but stranger things have happened. Han could also argue that this was not really a race, but rather it was a scared youth trying to escape a life of criminal servitude from a gang enforcer after assaulting Lady Proxima with sunlight and stealing coaxium. On the flip side, the Plaintiffs could argue that Han was racing for nothing but glory, and the chance to win a little street cred. In most situations, it would ultimately be up to a jury to decide. In California, at least 12 jurors must be impaneled, though some alternates are typically brought in as well in case a juror has to step down for any reason. 9 out of 12 jurors must vote a certain way in order to reach a civil verdict. So under that legal system, Han would need to convince 9 out of 12 of his peers to believe him. It could happen, but it’s not a sure thing. Who are you calling Chicken? If Han’s high speed driving did injure some people, then Han would likely face an uphill battle to convince a jury that he is not responsible in any way for those injuries. He may be able to argue that some portion of the injuries are not his fault, but it is very likely that most, if not all, of the liability would fall on Han. Given the potential legal troubles that arise from Han’s participation in the street racing and chase on Corellia, Han would probably have been best served by following the example set by another sometimes hot-headed traveler, Marty McFly from Back to the Future. 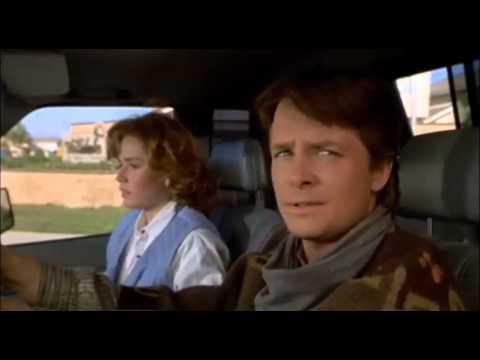 Marty, after learning from some mistakes, ultimately refuses to take the bait and backs out of a street race challenge at the end of Back to the Future 3. The race challenger, Needles, may also be a distant relation to the Corellia street racing mentor named Needles who Han mentions in passing at one point during the Solo movie. Don’t do it Han, if you can avoid getting into too much trouble, Leia awaits. Child of the 80's. 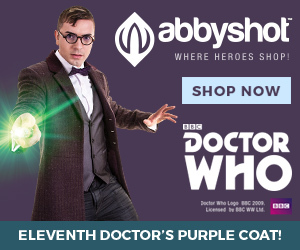 Lover of all awesome properties: Star Wars, Transformers, GI Joe, Star Trek, Robotech, etc. A lawyer and fan always. Views expressed are my own personal opinions.